That's so cute! Awesome piccy! 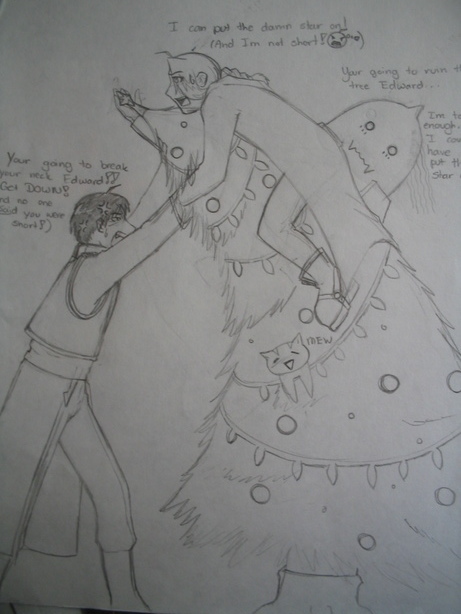 What a delightfully funny pic and I agree with you it is funny to watch ed try to put the star on the top of the tree. I love the way you made alphonse sticking his head out of the tree. It is the cutest F.M.A. pic I have seen all week.